We know that great individual performances are forged in time and in teams, but they are invariably inspired by coaches who focus on preparation and hard work rather than results. 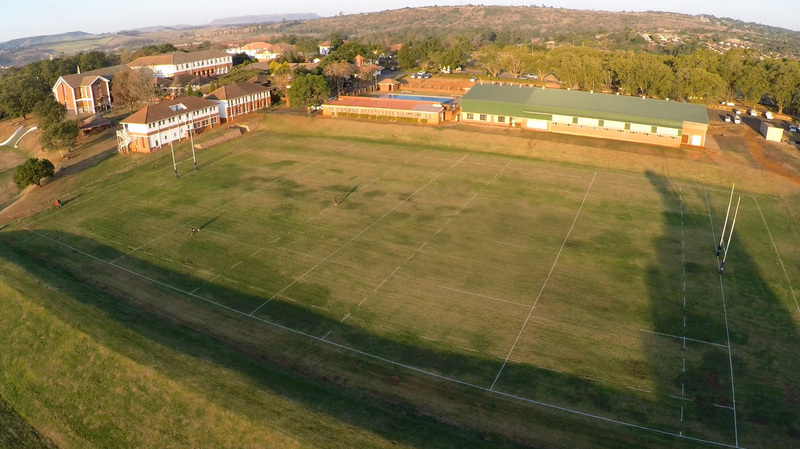 At St Charles College, we aim to preserve the educational value of sport, and coaches work hard to ensure that each boy concentrates on becoming a better player for his team. This philosophy of commitment and enjoyment means that boys learn the value of good decision making, preparation and planning, and the need to build skill levels that enable them to compete at the highest level. Being a good coach is not just about having excellent sports-specific and technical knowledge, but rather about motivating, encouraging and inspiring boys to challenge themselves. It is our belief that full-time staff members are the most predictable way to ensure that character education is preserved in our programmes. We are guided by educational research that supports non-specialisation for school boys. At St Charles College boys from Grade 000 to Grade 12 will be involved in a healthy balance of participation in several different sports. The result is well-rounded young men who are physically confident in themselves. St Charles College boys can be distinguished by their perseverance – they never give up. We believe that developing this attitude is an essential element of educating boys for life. At all times we aim to be humble in victory and gracious in defeat. All boys are expected to participate fully in the extramural programme of the College. As they grow, the programme progresses from informal play to a more formal curriculum of skills development. As they mature, boys are exposed to an increasing range of sports at the College and greater responsibility of choice is given to them. Playing sports is an integral part of developing identity, taking risks and learning tolerance and co-operative skills. The College offers a unique opportunity for boys to take part in healthy competition, but also to be exposed to a range of positive role-models at significant moments in their development. Summer team sport begins with cricket in the Junior Primary School years. From grade 8 boys are able to explore additional options including basketball and more recently, as the College has grown, waterpolo. St Charles College has an exceptional record in cricket and basketball and with the addition of new aquatics centre, it is set to establish itself as a leading independent school across all the summer disciplines. Winter team sports include rugby, hockey and football. The winter season has its own characteristic passion and offers educational great opportunities to develop courage and to teach self-control. The senior schools play rugby and hockey in the second term and football in the third term. The primary schools play rugby and football in the second term and hockey in the third term. Beyond the summer and winter team games, boys can follow a number of specialised options, some of which are seasonal and others which can be pursued all year-round in addition to the team sport commitments. Physical education classes are an essential part of the curriculum throughout the College. The programme begins with a focus on agility and use of space and develops into directed training and conditioning as boys grow and settle into their sports selection. A strong team of qualified specialists are involved in the age-appropriate development of sport specific, physical and mental skills to equip boys to enjoy their sport and to successfully deal with challenges and pressures on the sports field. 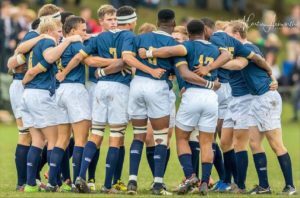 In the senior school years boys who are more serious about their sporting ambitions will be involved in high performance training as part of the preparation required to compete at the highest levels of school boy competition. A highly motivated coaching and specialist team monitor and prepare the boys to succeed. The conditioning centre is well equipped with modern training equipment and all the boys of the College can take part in specific physical training. The College is privileged to have an excellent nursing staff who work together with Sport to ensure that boys are well taken care of. Prevention of injuries and rapid recovery are key elements and we have set up facilities for physiotherapists to administer treatment at the College. Mental skills in sport are increasingly receiving focus as research indicates that many responses in sport can be intentionally taught and learned. Composure and decision making are skills which can be improved and developed and sport science offers increasing possibilities to those who are willing to work hard to become better players and team members. Our Sport Scientist has played a significant role in developing team discipline and focus as team members are able to recognise their roles and learn to manage their responses.